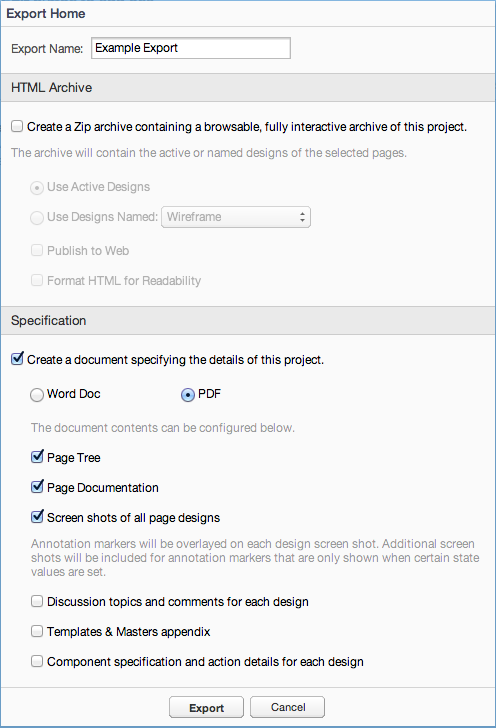 ProtoShare’s Export feature now includes the ability to export a specifications document directly to a PDF file. In the past, creating an PDF Export was a two step process. With ProtoShare’s latest update, you can select the option to create a PDF export from the Export Home menu. ProtoShare's Export Home menu with PDF selected.